The Florida Motorcycle Driver Handbook contains all of the information that you need to familiarize yourself with the concepts on the license exam! 2.2. Financial Responsibility Law - It Does Apply To Motorcycles! All persons requesting a motorcycle endorsement are required to complete a basic motorcycle safety education course prior to being issued a motorcycle endorsement or "Motorcycle Only" license. A list of course sponsors can be found at the end of this handbook. Rider course providers (Sponsors) offer the Motorcycle Safety Foundation (MSF) sponsored Basic Rider Course (BRC) and Experienced Rider Course Suites (ERC). The BRC provides the basic entry-level skills for new riders to begin practicing and developing the mental and motor skills important for safe street operation. The BRC has approximately five-hours of classroom instruction and 10-hours of on-cycle instruction. Both sessions are facilitated by experienced motorcyclists trained as RiderCoach by the FRTP to assist your learning. To enroll in the BRC, a person must possess at least a valid Learners License in order to have knowledge of Florida Traffic laws and road rules; however, the actual motorcycle endorsement may not be obtained with a regular operator (Class E) license until age 16 per s. 322.05(1) F.S. The person must also be able to have sufficient balance or capability to operate a bicycle. Sponsors provide motorcycles less than 500cc for the BRC, usually 125cc to 250cc, helmets, and course handbooks for the BRC. Students must provide gloves, full hand coverage, shatterproof eye protection, unless the helmet has a face shield, long pants, long sleeve shirt or jacket, over the ankle shoes or boots and rain gear for light rain - non dangerous conditions. A call or email to the Sponsor of your choice can clarify many issues regarding equipment, fees, method of payment and scheduling. Many sponsors allow sign-up and payment via a website. Refer to the FRTP web site at http://www.motorcycles.hsmv.state.fl.us/ and click on the "course locations" heading for sponsor locations by county. 1.1.1 - S/TEP - The Sidecar/Trike Evaluation Program is completed by persons riding three wheel motorcycles. The curriculum for the S/TEP course was developed by the Evergreen Safety Council. The S/TEP course provides the basic skills for those who are new to the operation of three wheel motorcycles and side car rigs. 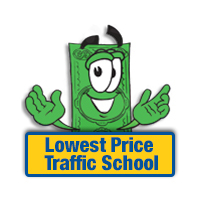 The course includes the knowledge and skills necessary to ride safely on the streets and highways. The student handbook and Insurance are provided for the course. Some schools also provide trikes, rigs and helmets. Students must provide eye protection, gloves (full hand coverage), long pants, long sleeved shirt or jacket, and sturdy over-the-ankle footwear. The S restriction is placed on the license of those who have passed the motorcycle S/TEP course. This S restriction is explained in the comment section at the end of the issuance process so that it is known that the person only has permission to operate a three wheeled motorcycle. 1.1.2 - THE ERC Suite Courses are for those already endorsed for riding skill enhancement with course completion cards issued for insurance reduction or other purposes. NOTE: All ERC Suite courses require the participant to furnish their own street legal motorcycle with valid tag and registration and proof of liability insurance coverage, or one borrowed with proof of permission. The participant must also furnish a helmet, shatterproof eye protection and similar protective riding gear as outlined for the BRC. See FRTP website above for sponsor locations or call the FRTP 850-488-3286 for an automated guided listing.